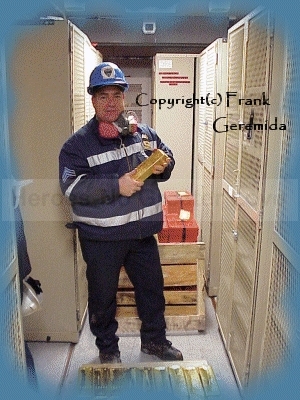 Sergeant Frank Geremida heard about the strike on the WTC. He gathered a group of officers and they set off. Just before they reached the Brooklyn Battery Tunnel they saw the building burning. They went through the tunnel just as one of the buildings was collapsing and thought the tunnel had been bombed. Somehow they managed to escape and assisted many pedestrians escape the tunnel. Later they managed to go on through and were one of the first to search after the collapse for their fellow officers including their buddy Officer Paul Jurgens. Frank was instrumental in the clean up at Ground Zero and orchestrated the removal of the hoardes of gold from the collapsed towers.